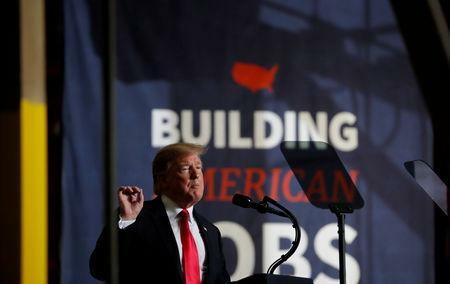 WASHINGTON (Reuters) - U.S. President Donald Trump warned on Wednesday that the United States may leave tariffs on Chinese goods for a "substantial period" to ensure that Beijing complies with any trade agreement. But when asked about lifting U.S. tariffs on Chinese goods, Trump said: "We’re not talking about removing them. We're talking about leaving them for a substantial period of time because we have to make sure that if we do the deal, China lives by it." 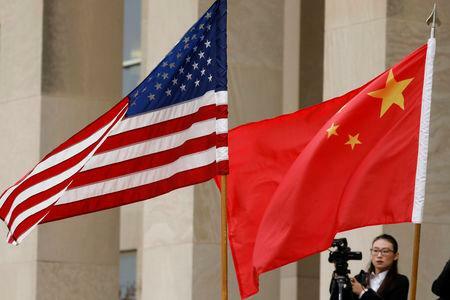 Washington is demanding that China end practices it says force the transfer of American technology to Chinese companies, improve access for American companies to China's markets and curb industrial subsidies. "We're so far down, it's got to be a great deal. 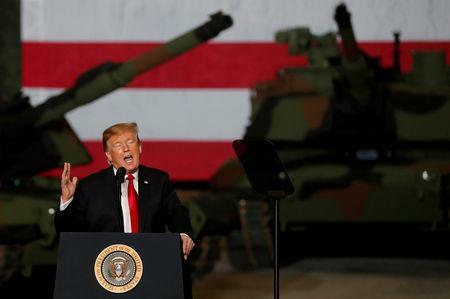 If it's not a great deal, you never catch up," Trump said in remarks at a military tank manufacturing plant.